Acacia Communications and Oclaro have teamed up in order to offer customers multi-vendors of fully interoperable CFP2-DCO modules, based on Acacia's Meru DSP. Chinese telecommunications equipment and systems supplier ZTE has ceased its major operating activities following a denial of export privileges against the company from the U.S. Department of Commerce’s Bureau of Industry and Security (BIS). Lumentum Holdings and Oclaro have reached an agreement, on which the former will acquire all of the outstanding common stock of the latter. For each share of Oclaro stock held, The holder will be entitled to receive $5.60 in cash and 0.0636 of a share of Lumentum common stock, subject to the terms. The transaction values Oclaro at $9.99per share or approximately $1.8 billion in equity value, based on the closing price of Lumentum's stock on 9 March 2018. 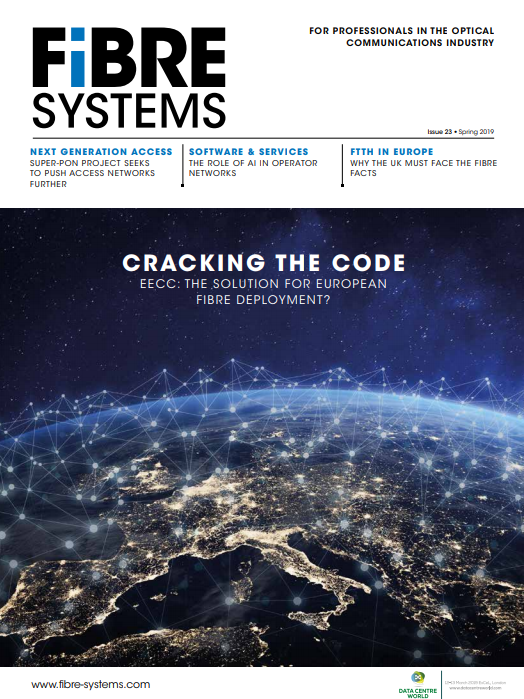 Oclaro is sampling a suite of integrated optical components that enable transmission solutions up to 600 Gb/s per wavelength for long-haul, regional, metro and data centre interconnect applications. Components in the portfolio include: a 64Gbaud micro-Intradyne Coherent Receiver (micro-ICR); 64Gbaud Integrated Coherent Transmitter (ICT); a 100kHz micro-integrated tunable laser assembly (micro-ITLA); 64Gbaud high-bandwidth co-packaged driver modulator (HB-CDM); and a high-bandwidth LiNbO3 polarisation multiplexed - quadrature Mach-Zehnder (PM-QMZ) modulator. At ECOC 2017 in Sweden, Oclaro unveiled photonic integrated coherent transmitters (ICTs) and intradyne coherent receiver (ICRs) that enable optical transmission speeds up to 600Gb/s. Both products support baud rates up to 64Gbaud and complex modulation schemes up to 64-QAM. These high-performance components can be configured for data rates from 100Gb/s to 600Gb/s, enabling customers to build modules supporting a variety of network applications from data centre interconnect (DCI) to ultra-long-haul transmission. Oclaro has announced sampling of a 400G CFP8 optical transceiver to support the ultra-high bandwidth requirements of core routers and optical transport applications. Oclaro held a live demo of the CFP8 at its booth #2747 at OFC 2017. Delivering four times more bandwidth than existing 100G CFP-family devices in a small and compact footprint, the device operates with eight lasers using 50Gb/s per channel and PAM4. Oclaro is sampling of its second-generation tunable SFP+ module operating at high temperatures of up to 85°C with very low power consumption. The device paves the way for tunable lasers to be used in cost-sensitive, environmentally challenging applications like fibre-to-the-home (FTTH) and mobile fronthaul applications, the company says. Oclaro says it is sampling a new dual micro-ITLA (integrable tunable laser assembly) containing two micro-ITLA devices in the same package. The dual micro-ITLA enables a 25 per cent reduction in size and 1W lower power consumption compared to using two discrete micro-ITLAs, while providing the same optical performance and reliability as the discrete devices.